Tickets are now on sale for the GT; the first 40K singles GT in Sacramento in a decade. I’m still working on the mission primer, but enough details to get an idea about the breadth of games has been posted. You can read more about it, and buy your tickets here. And with that, I’m off to get myself ready for the Bay Area Open this coming weekend. Warhammer Fantasy FAQs are GONE! While the rumor states that you can continue to play Warhammer Fantasy long after Warhammer: Age of Sigmar releases next month, today Games Workshop removed all FAQs for Warhammer Fantasy from their website. 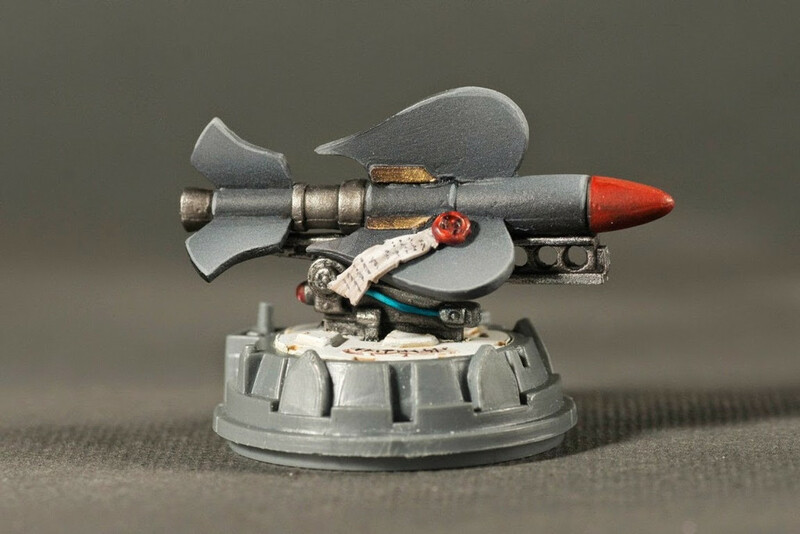 I recently ran across a company that makes bits compatible with the Sisters of Battle esthetic, including this cool themed Hunter-Killer Missile. 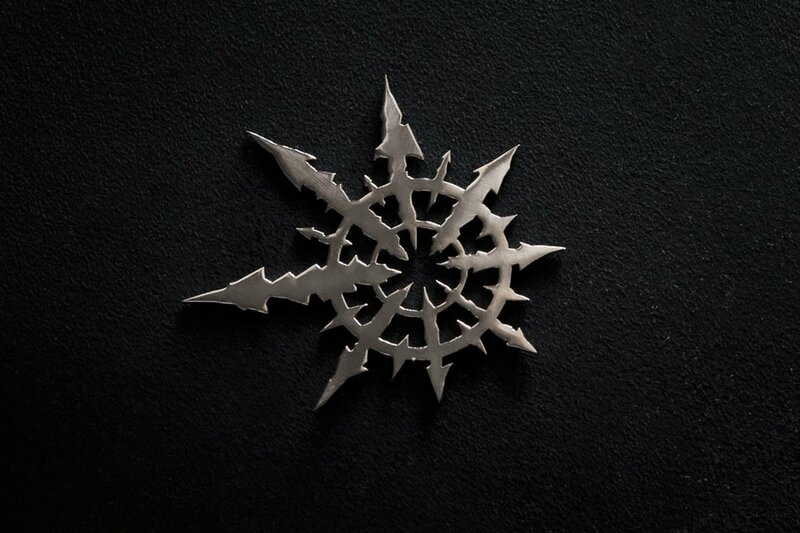 You should check them out. I’ve got an order of one of each of their items that I’m waiting on. I’ll post pictures and a review when they arrive. 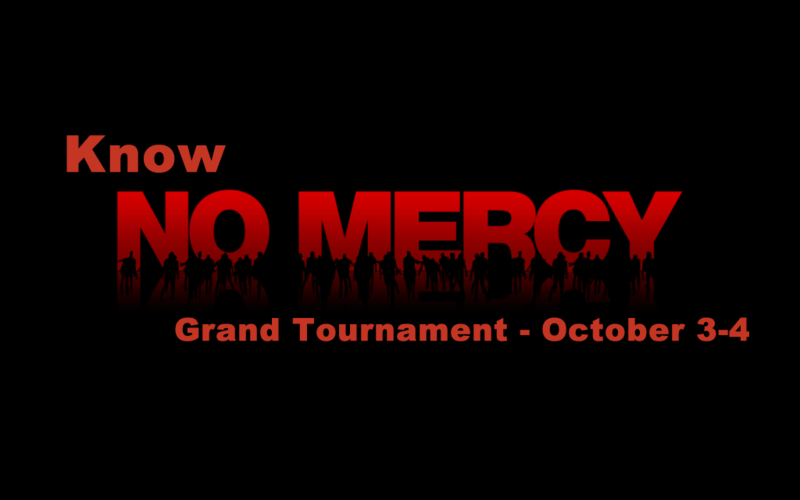 No Mercy 2: Revenge of the Imperium is the second tournament that LUMP will have run, come June 14, 2015. 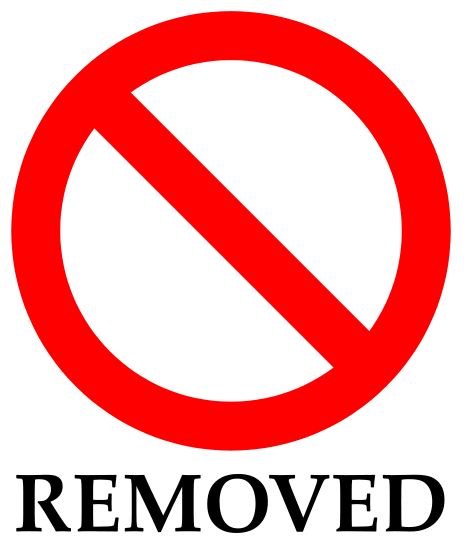 Tickets went up for sale on Sunday night, and less than 48 hours later 28 of the 48 spots have been reserved and paid for. 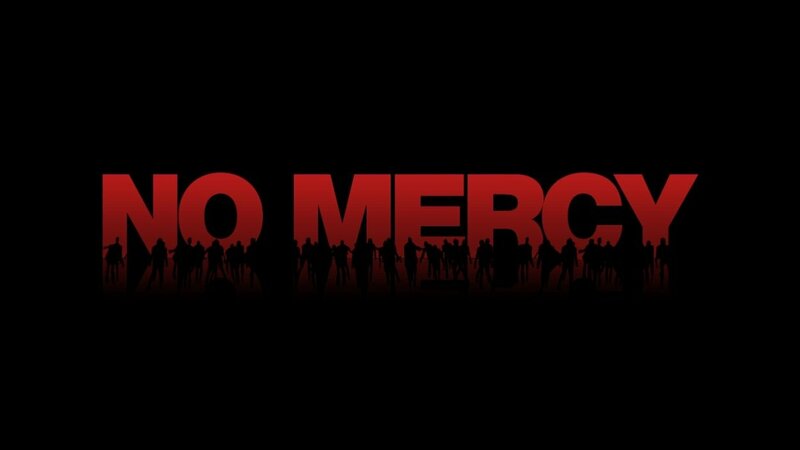 Whether a renewed interest in competitive play brought on by the ITC, BAO and LVO is in play, or people heard about the level of prize support given out at the first No Mercy, or the fact that we run a tight event has helped, I’m thrilled to have the initial response be so positive. That said, if you’re on the fence about attending don’t wait too long to get your ticket. Depending on which blogs you read and which podcasts you listen to, you might have heard that competitive 40K is dead, or dying, or so out of control its not fun. Evidently the 2015 Adepticon 40K main event didn’t sell out in under and hour (as I’ve heard it has the past few years) and this is being touted as proof positive. I know that the last three years, since the demise of 5th edition, locally our tournament scene has been hurting a bit. The local premiere event sold out at 90 players in January 2012. We’ve been lucky to sell half that number of tickets the last 3 years. This gave rise to a feeling of doom and gloom about the state of competitive 40K. However, with the conclusion of the 2015 Las Vegas Open, hosted by Frontline Gaming, that cloud appears to have lifted. Games Workshop has released a few FAQs for Warhammer 40K (and one for Fantasy as well). The last 2 weeks has been busy. 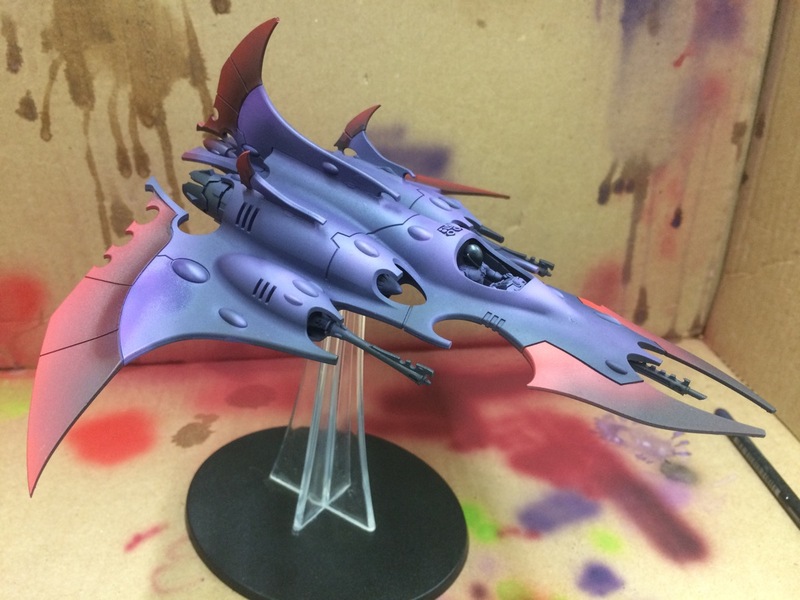 I’ve been working on my Space Wolves for LVO, helping Darklink with an Eldar army that we’re giving away at my upcoming tournament, and helping another friend try out a color scheme for his Dark Eldar army. Add in the upcoming Harlequin release, moving our club into our new game room, work, and family, and there hasn’t been much time for getting in games. Being a 49ers fan, I casually watched the big game today. 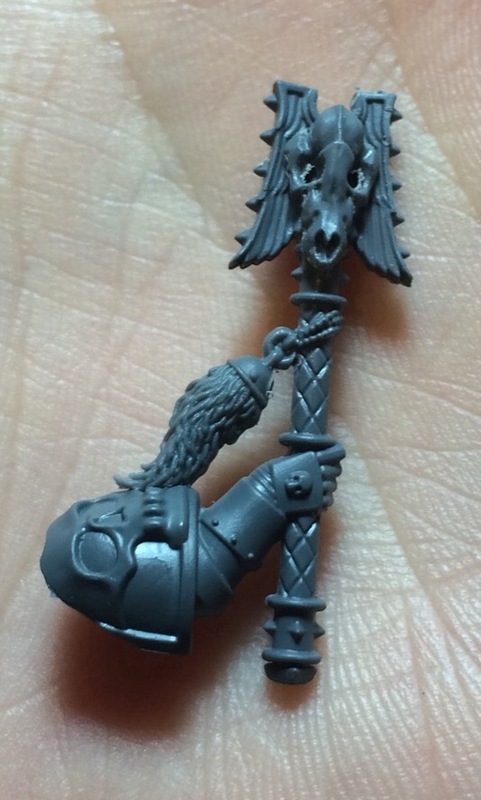 This allowed me to finish assembling my Whirlwind Scorpius, finish kitbashing my Rune Priest on bike and lay down some color on a Wraithknight and five Wraithguard. Pictures follow in no particular order. I really like custom resin bases. Well, actually I really like nice custom bases. It’s just that resin bases have a whole bunch of issues. 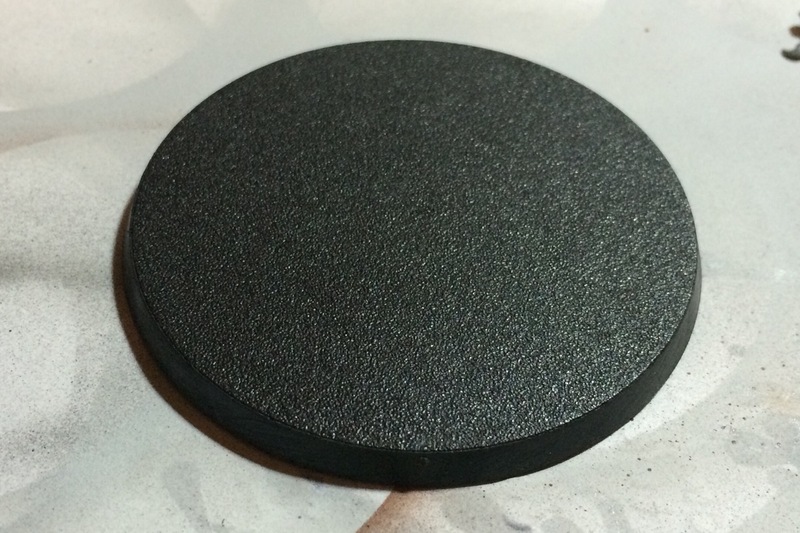 First, most sets of resin bases only have a few different designs, they tend to be short and the bottoms are flat, so they don’t sit on uneven surfaces well. So, I decided to make my own bases. I started with regular 65mm Citadel bases.